Nielsen-Massey Fine Vanillas & Flavors is giving one winner a set of their pure flavors: a 2-ounce bottle each of Orange, Lemon, Peppermint, Almond, Chocolate, Coffee, Rose Water, and Orange Blossom Water. I got their Coffee Extract for this event, and I love it. I can only imagine that all of the flavors are just as fabulous. They’re also expensive if you buy them alone, so this is also a really great value. Scroll down to enter the GIVEAWAY, and dozens of other fantastic #ChristmasCookies recipes! My first contribution to this week is an Easy Sugar Cookies recipe. I wondered if that would be too simple, but fact is: you cannot go wrong with sugar cookies, because literally everybody likes them. I was recently at a dinner where someone brought a box of sugar cookies and a box of chocolate chip for dessert, and the sugar cookies disappeared first. And then I tested this recipe and ate four while they were still cooling, so. This recipe is my favorite sort, straightforward with high-value results. There are only a handful of ingredients, and you probably have all of them in your fridge and pantry. The only one I don’t keep around is buttermilk, since I don’t use it often. I made do with milk and a splash of white vinegar, which works just as well. The buttermilk is used in the dough, but it’s also used to lightly brush the tops of the cookies. 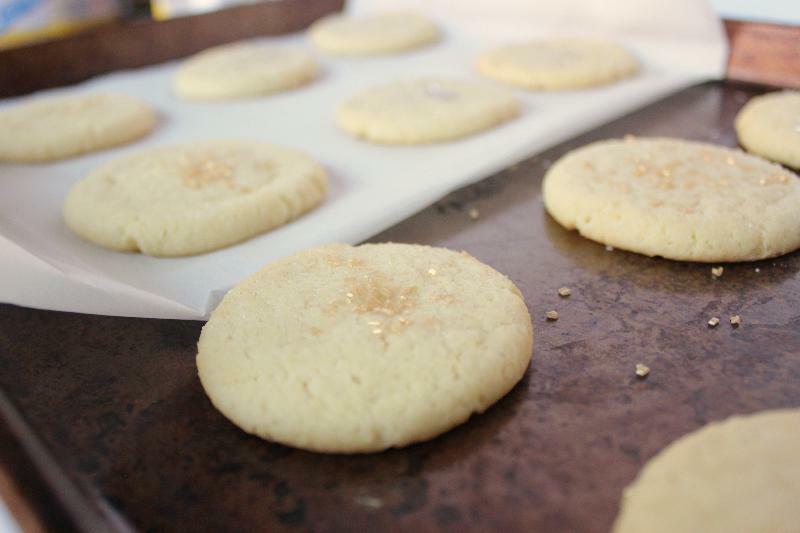 This makes them just that little bit softer, the perfect sugar cookie. If it seems like too much trouble, do what I did and leave a few on the first pan unbrushed as a test. It’s such a simple thing, but it makes all the difference. Recipe from Tastes of Lizzy. Cream together butter and sugar until light and fluffy. Beat in egg and vanilla; set aside. In a separate bowl, whisk together flour, baking soda, and baking powder. Gradually blend into the wet ingredients. Mix in just enough buttermilk to make the dough soft and moist, but not wet (probably 1-3 teaspoons). 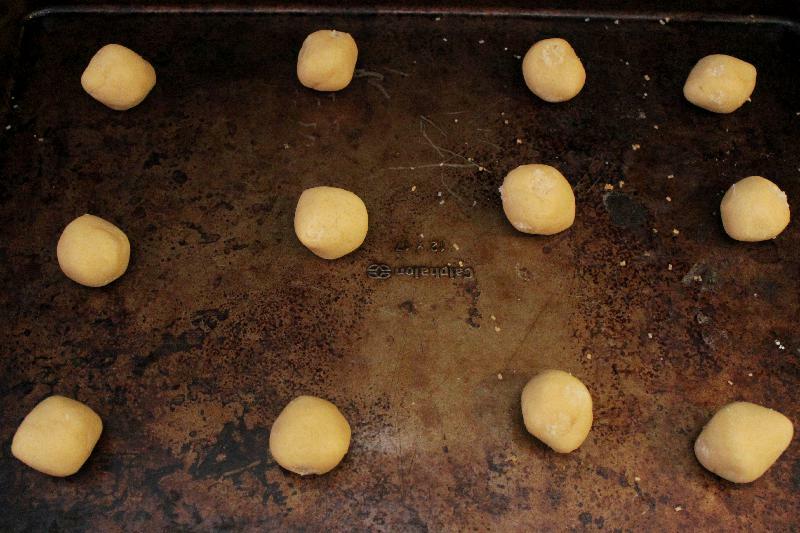 Roll dough into 1-inch balls and place on ungreased cookie sheet. Flatten each ball using the bottom of a glass dipped in sugar. Brush each with buttermilk and add sprinkles, if desired. Bake 8 minutes, or until edges just begin to brown. Remove immediately to cooling rack. These are so cute! Love the sprinkles. I make sugar cookies every year four Christmas with my clients 🙂 Bonding and life skills wrapped into one. And with such delicious results! My favorite holiday cookies are cutouts. I love making them with my kids! Am I eligible? If not, no worries. I started to keep powdered buttermilk on hand since I would rarely use the whole carton. I’ll be trying this recipe soon. 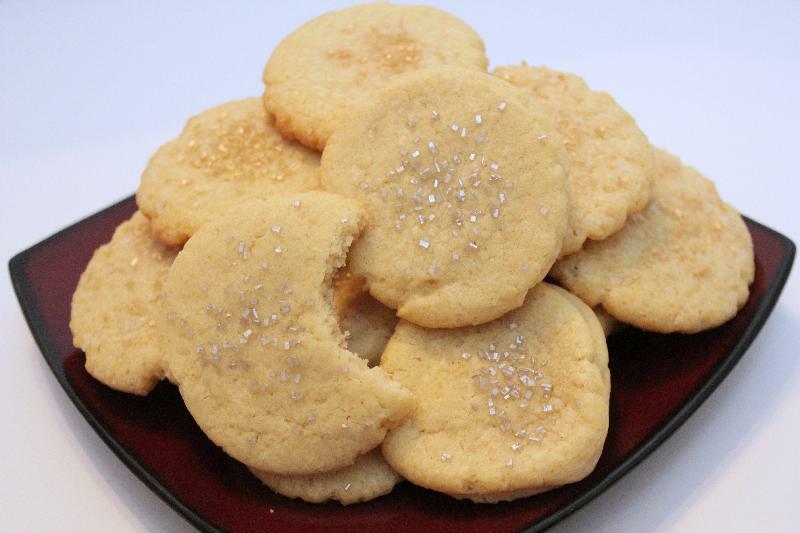 A good sugar cookie recipe is hard to find. Thanks for posting! You’re welcome, hope you enjoy! Sugar cookies were made for Christmas. I love that you use buttermilk in these cookies! Wish I could take credit for the idea 🙂 It’s such a small thing but it’s what makes these really great. I have a cookie my Mother use to make years ago that I also make each year and it is a “fruit cake” cookie. I’ve never heard of a fruit cake cookie! That sounds super fun.